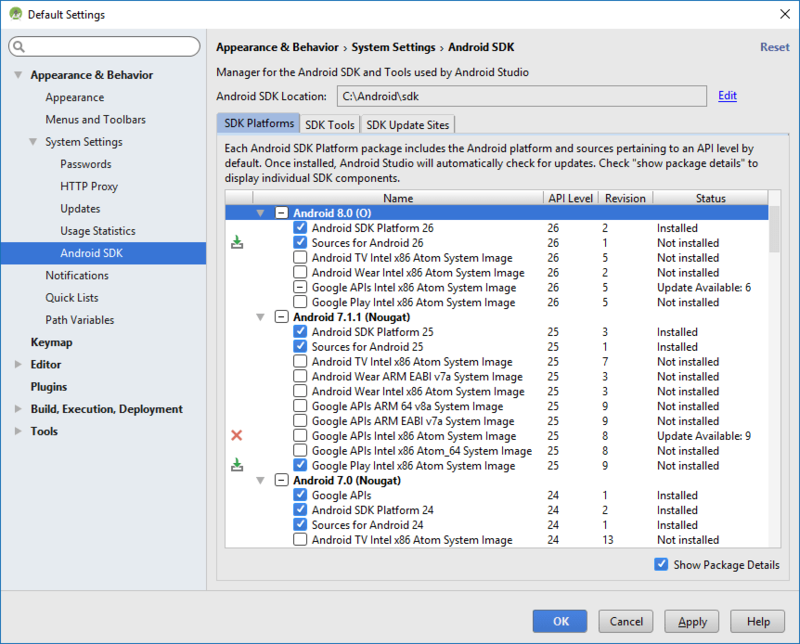 SDK Manager in Android Studio : What to select? 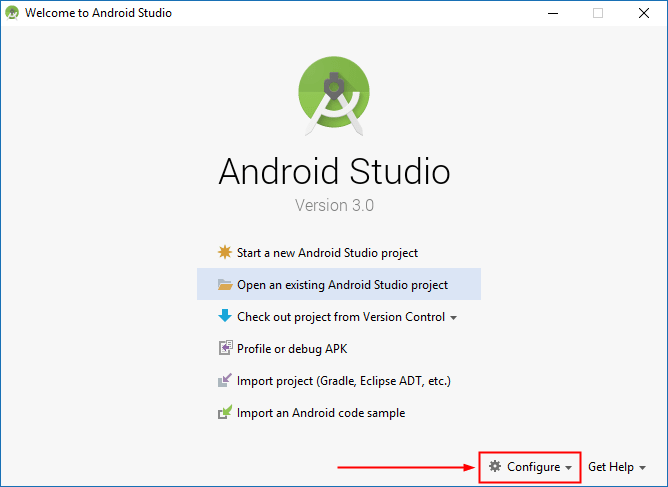 To open the SDK Manager from inside the Android Studio, click the SDK Manager button on Toolbar or choose Tools > Android > SDK Manager from the main menu. At least one platform is required for successful apps compilation. Required in order to run Android Emulator. Required for building Android apps. Includes various required tools for SDK Platforms. Includes required tools for development and debugging. Required to debug and test your applications. At least one platform is required in your environment so you're able to compile your application. There’s one SDK Platform available for each version of Android. It includes an android.jar file with a fully compliant Android library. 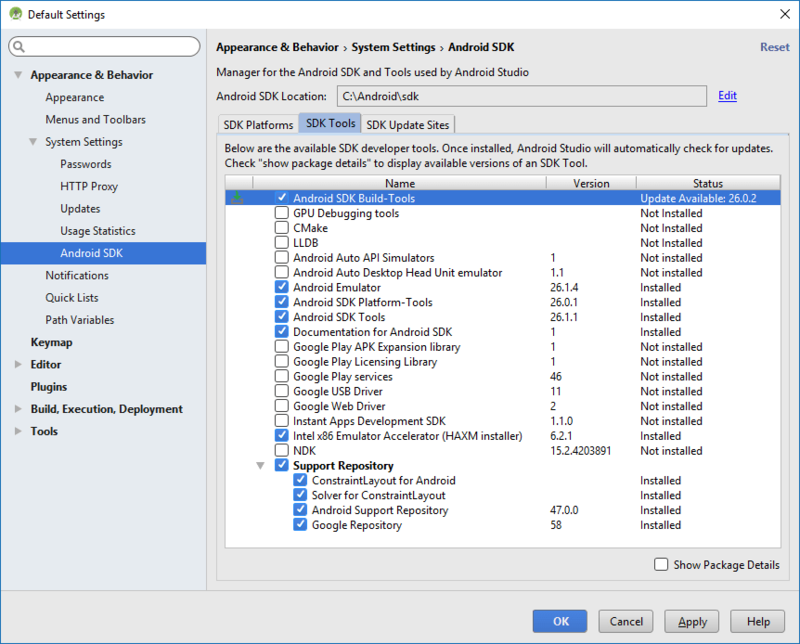 In order to build an Android app, you must specify an SDK platform as your build target. A copy of the Android platform source code that’s useful for stepping through the code while debugging your app. A system image is required in order to run the Android Emulator. A system image is a copy of one version of the Android operating system. Each platform version contains the supported system images. You can also download system images later when creating Android Virtual Devices (AVDs) in the AVD Manager. Which System Image should I select? Select Intel x86 Atom or Intel x86 Atom_64 for Intel based CPUs. If you are developing for a specific device i.e. watch then select the Wear image. You don’t need to select image of TV or Wear if you are only developing for phone or tablet. The play image has the Google Play store already installed and you can install apps, but there is no root access as it is a production build and not a debug build. The Android Emulator simulates various Android phone, tablet, Android Wear, and Android TV devices on your computer. It comes with predefined configurations for popular device types. 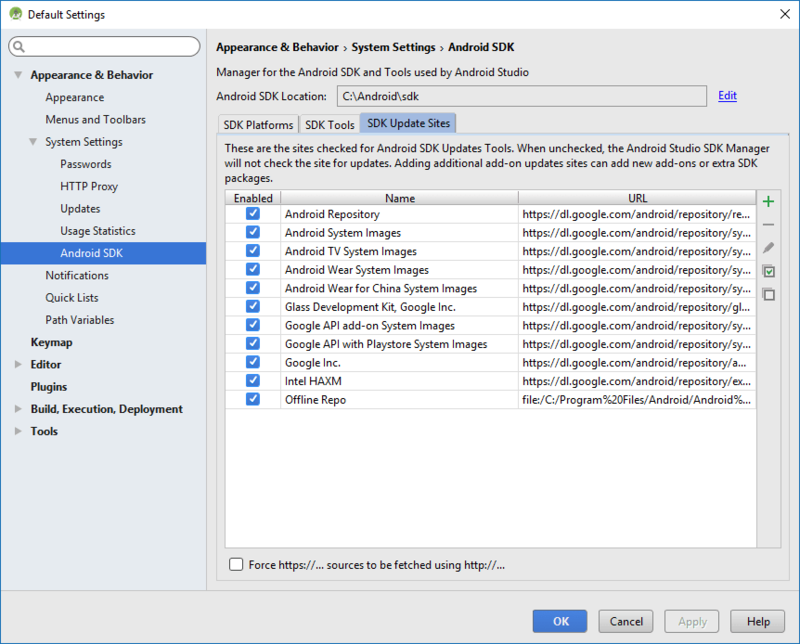 Android Instant Apps supports the latest Android devices from Android 5.0 (API level 21), Android Studio provides the tools you need to modularize your app so that users load only the portion of the instant app that they need, when they need it. Do not change anything in the SDK Update Sites tab. Keep the update sites as it was configured by default. Click on OK button. It will take some time to download and install all the components and packages selected. The SDK Manager automatically scans for updates to existing packages and will list new packages. When an update is available for a package you already have, a dash appears in the check box next to the package. See below image, the "Google APIs Intel x86 Atom System Image" inside the "Android 8.0(O)" platform has update available. A download icon will appear on left column as pending update sign when you check a package for download. Uncheck a package if you want to remove it, a red cross will appear on left column as pending removal sign. See above image, "Sources for Android 26" inside the "Android 8.0(O)" platform has pending update status and "Google APIs Intel x86 Atom System Image" inside the "Android 7.1.1 (Nougat)" platform has pending delete status visible.